Loudness as far as miter saw operation is concerned is measured in decibels (dB) and a miter saw may be as loud as 100 decibels. In a normal environment, a whisper has an intensity of 20 decibels. Any increase of 10 dB in the noise scale corresponds to a tenfold increase in loudness. In that regard, considerably loud but short bursts of sound, such as the ones produced by a miter saw may potentially induce hearing loss. Intensity levels under 75 decibels, however, do not appear to be harmful. 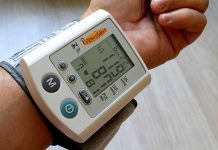 Nevertheless, continued exposure to any intensity above 85 decibels or a brief exposure to higher sound intensity can be potentially harmful to your hearing. The effects of loud miter saw noise can be broken down into behavioral effects and physical effects. As far as behavioral effects are concerned, loud miter saw noises may disrupt effective social well-being. A sound of more than 80 decibels may significantly disrupt normal conversation. Exposure to higher intensities may produce temporary hearing loss that can induce much the same effect. There are many social activities that may potentially be disrupted by loud noises produced by miter saws, such as talking, eating and so on. Loud noise can influence non-auditory tasks just like it affects auditory tasks. 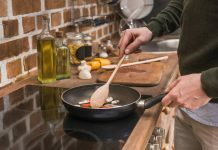 Research indicates that loud noise is likely to produce decrements in the performance of non-auditory tasks, in the event that the tasks are complex. When operating a miter saw that produces very loud noise, hearing defects are more likely, particularly when noise increases in intensity. Therefore, the higher the intensity of noise, the more damage is subjected to the ears. 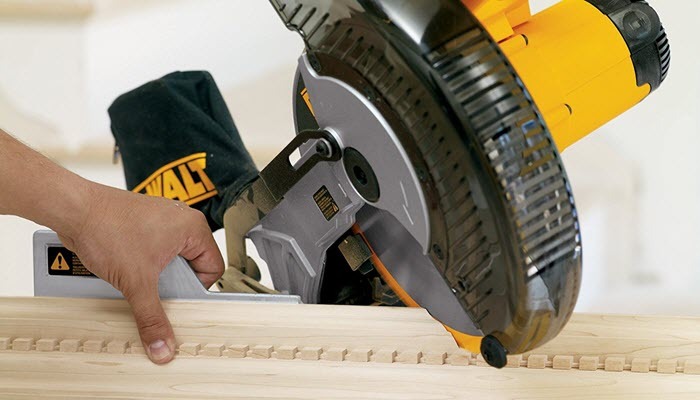 Loud noises produced by miter saws can harm more than just your ears. With that said, it is extremely important to protect your ears when working with miter saws. Induced hearing loss, due to high intensity noise produced by miter saws is 100% preventable as well as irreversible. To be specific, high frequency noise is known to damage the delicate hair cells that serve as sound receptors in the inner ear. The initial damaging effects start as diminished sensitivity. 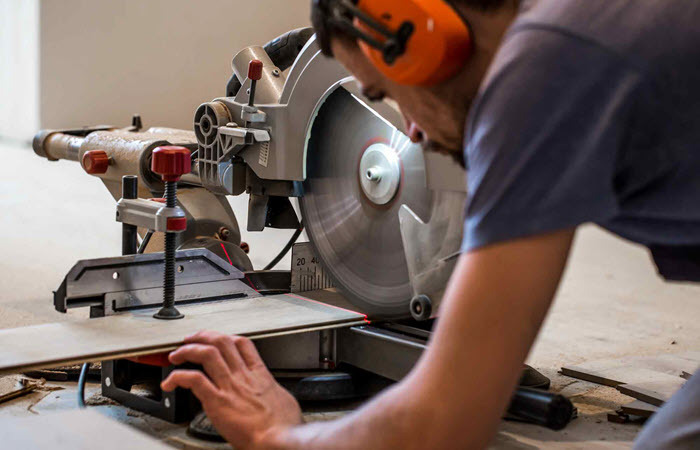 If you happen to be a victim of the loudness of a miter saw, then the early symptoms you can expect to experience include ringing in the ears and difficulty in comprehending speech. Generally, a miter saw noise intensity can be as high as 100 decibels. People who work with miter saws every working day of their lives for long hours are more likely to develop reduced hearing in mid as well as upper frequency ranges. After a very long time exposure to high noise from miter saws; the lower frequency range of a person is affected enough to require raised voices for normal conversation. It is in order to say that people who work with miter saws without protecting their ears have distorted health. 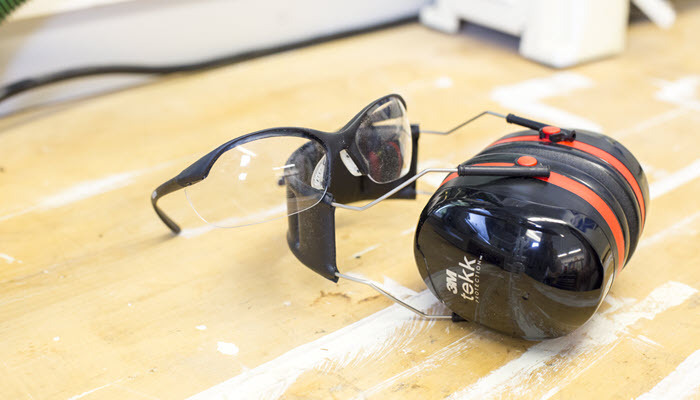 It is important that your eyes and ears are well-protected when operating a miter saw. Hearing protection must always be used despite how long or short you will be operating your miter saw. Hearing protection does not have to be uncomfortable. You can always get yourself the best ear plugs in the market. The best model should be on a springy plastic neckband that makes them easy to remove when you are done using your miter saw. The best ear muff should be made of a portable design, incorporated with a padded foam headband. The padded foam headband will make it comfortable and convenient to wear the muffs for long hours. You should choose earmuffs that have soft ear cushions and the cushions should be easy to replace.